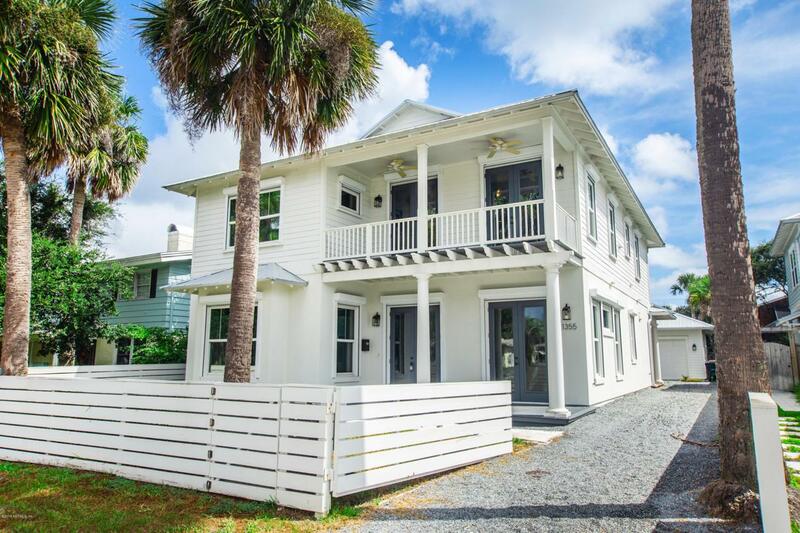 New construction in the heart of Atlantic Beach! Enjoy floating by day in your private pool or dip your toes in the sand of the beautiful Atlantic Ocean just one block away! This exquisite home offers a true gourmet kitchen with a Viking stove, double sinks, dual Bosch dishwashers & custom cabinetry with stylish honed stone countertop. The spa-like master bath and custom cabinetry in the closets are elegant with a European flair. Entertaining is effortless with a seamless flow of indoor/outdoor living spaces and an open floor plan. Beautiful hardwood and travertine floors give this home an elegant coastal feel. Located in desirable Atlantic Beach between 13th & 14th St. the location couldn't be more perfect!.You will be close enough to enjoy all the wonderful shops and restaurants in Neptune Beach, but far enough to enjoy your peace and tranquility. Enjoy golf? You can pick up a game with ease since you are just a few blocks away from the beautiful Atlantic Beach Country Club. This home is ideal for families, empty nesters or a second home destination! Call today for a private showing of the beautiful custom built home!